Opening: 16:00-19:00, 12th October, 2013. TANG Maohong's solo exhibition will be opened from October 12th, 2013 at ShanghART Beijing and will last until November 17th. 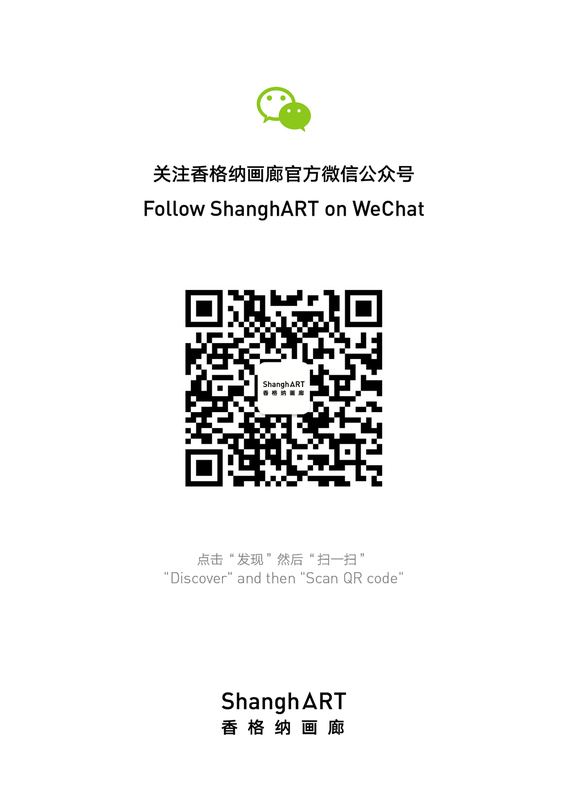 It is the first solo exhibition by the artist in Beijing. Concerning the exhibition title Exclave Con, the concept of "exclave" comes from human geography and is used to convey the artist's visual experience, his knowledge structure and the experience of one's existence. It is both an illusion and an entity. Exclave Con can be seen as the creation of obstinate enclaves, that every individual is not only existing, but likewise living as an exclave without a home country. The exhibition consists of both image and animation installations. The artist will represent a string of logos designed for the "exclave" on a large scale. These logos keep a paradoxical attitude which he always adopts towards the image, and direct ambiguously to some group or emotion, and dispensable self-system. Compared with early dramatic language of animation, the new animation installation changes a lot as narration is displayed about time and space by using a kind of very simple and slow language of the frame. Tang Maohong simultaneously references and undermines art history and popular culture. He has integrated a variety of visual elements and subject matters, producing works that inhabit the ever-blurred border between high art and popular illustration. His work is absurd, magical, humorous and confrontational, hinting that the juxtapositions of figurative objects might be more than just illusions. Tang Maohong's pictorial universe reflects not only a new subject – a psyche whose internal eclectic imagination is echoed in the environment of constantly flowing images – but also the inversion of out-grown traditions. Tang Maohong was born in 1975. working and living in Shanghai now. Recent exhibitions include Green Box, Remapping- The Space of Madia Reality, Hangzhou (2013); Uninkable, Taopu Contemporary Art Centre, Shanghai (2012); Nomadic Report 2012, Arko Art Center, Seoul (2012); Huge Character, Cooperation Project by SUN Xun, TANG Maohong, ZHANG Ding, ShanghART Beijing, Beijing (2011); Shanghai History in Making from 1979 till 2009, Shanghai (2009); Trans Local Motion—7th Shanghai Biennale, Shanghai Art Musuem, Shanghai (2008); Thermocline of Art, New Asian Waves, ZKM (Center for Art and Media), Karlsruhe, Germany (2007); JIFF— 8th Jeonju International Film Festival, Jeonju, Korea (2007); Orchid Finger - Tang Maohong's Solo Exhibition, ShanghART H-Space, Shanghai (2006), Sunday–Tang Maohong's Solo Exhibition, 2577 Longhua Lu Creative Garden, Shanghai (2006), Singapore Biennale 2006: Belief, Singapore (2006); A Lot of Ash – A Lot of Dust, BizArt, Shanghai (2005) and Asian Traffic Shanghai: Magnetism–Suspension, Zendai Museum of Modern Art, Shanghai (2005).